Presidential spokesman Femi Adesina says those opposing or criticizing President Muhammadu Buhari’s approval of one billion dollars for security funding are only playing politics with the lives of Nigerians. 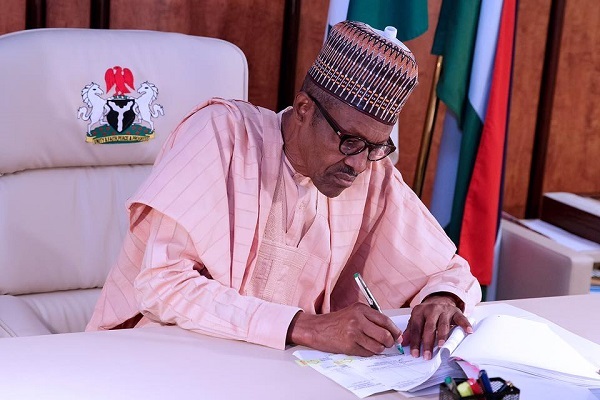 The Minister of Defence, retired Brig.-Gen. Mansur Dan-Ali had on Wednesday revealed that President Buhari had granted assent for the release of the one billion dollars fund for the procurement of security equipment to fight insecurity in the country. Dan-Ali disclosed this when he spoke to State House correspondents after a security meeting involving President Buhari, heads of security agencies and service chiefs which was held at the Presidential Villa, Abuja. The National Economic Council (NEC) had in 2017 approved the (one billion dollars) amount to be sourced from the country’s excess crude account for the fight against insurgency and other violent criminal activities across the country. However, the Peoples Democratic Party (PDP) on Thursday condemned the presidential approval of the one billion dollars to procure military equipment to fight insurgency without recourse to the National Assembly. The party made the condemnation in a statement by its National Publicity Secretary, Mr. Kola Ologbondiyan, in Abuja. Mr. Femi Adesina, who is also the President’s Special Adviser on Media and Publicity, responded to the PDP’s condemnation of the approval in a special interview on Channels Television on Thursday night, saying that proper procedures for the release of the fund were being followed. He said: “As we speak now the communication to the National Assembly is about ready. Those who have been flexing muscles over the matter should just have bothered to make inquiries from the Senior Special Assistant to the President on National Assembly matters. “It is not something that I think any government could begin to disclose. But we know that it is expensive. I remember that the Chief of Army Staff spoke about some trillions of naira recently – security is expensive but human life is much, much expensive,’’ he added.